With a quiet release schedule and long spell of hot weather, the UK games market endured its second lowest week of unit sales in 2014, and the worst in revenue. Not a great time for retailers, then, and Nintendo has a mix of good and bad news to consider. The positive news comes in the single-format chart, in which Tomodachi Life moves up two places to 3rd, ahead of Watch Dogs on PS4 and only behind the PS3 and Xbox 360 entries of Minecraft; The Mii-sim climbs in the all-format chart, too, up three to 11th. 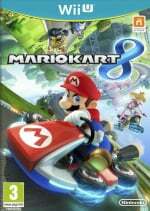 Mario Kart 8 is still carrying the Wii U fight, though it falls to 16th in the all-format charts, dropping from 11th. That decline is also reflected in the single-format results, dropping down three to 6th place. A small group of 3DS / DS titles continue to show their evergreen qualities. Sticking with single-format results, Pokémon Black is still going in 16th place after a recent surprise return, while White is lower down in 25th. Pokémon X & Y have moved up to 31st and 33rd respectively, while Animal Crossing: New Leaf saunters back in at 37th place. A quiet week overall, with a remaining and notable absentee being the Wii Sports Club physical retail release, which has failed to reach the top 40 since its arrival earlier this month. Nintendo's titles, in general, are holding firm in this quiet retail spell in the UK. Has Wii Sports actually been released in UK? I've not seen an advert, poster or even a shop selling it. 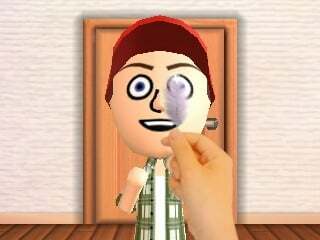 Tomodachi Life is strangely addicting wasn't sure I'd like the game but thought might as well take advantage of the Hyper Japan promotion and I'm glad I did. Wii Sports Club I feel isn't going to sell at £30 in any large amount people will wait till it is £15-20 range it's just that sort of game. Not surprised about Pokemon Black/White. Argos are selling them off for only £7.99! Hahaha, that's Nintendo's marketing for you. Reggie: "Wii U is a tougher sell than the original Wii.... so we're not even going to try"
You all forgot that Wii Sports club has been on the eShop long ago and you can choose to buy only you favorite. Most who are buying the physical discs are those who never bought the eshop ones and those who prefer physical discs. I really expect Tomodachi Life to be that kind of title where once a friend gets tired of it, another friend yearns to try it out and so forth. It's like gaming chain mail. I can't believe how slow the summer release schedule is for gaming across all the platforms. I just picked up Pushmo World finally, so between that, Shovel Knight, and some VC titles, at least there are some interesting things to play. If I remember correctly, there was an article on NL about the creator briefly mentioning a 3DS version could be made based on a previous iOS build. It's probably more likely that the 3DS would get it before the Wii U (though it probably would be a watered down version unfortunately). Honestly though, I don't know what they're waiting for. It's sold so well, why not release it for everything and fill out the ranks. Business wise, it really isn't that much of a risk anymore since it's been so successful elsewhere, plus, I could really see the gamepad working well with it. The fact Tomadachi Life does better than MK8 or Watch Dogs is odd. Maybe it's because it's on a handheld? The games good, a bit repititive but you still see new things after a while. @Action51 yeah, there indy releases really does save them from droughts as I am pickinging up Guacamelee and Shovel Knight soon. @MoonKnight7 - "Business wise, it really isn't that much of a risk anymore"
Yeah, I think Wii U may finally be coming into it's own this year. Yesterdays Target flyer had a 2 page spread w/ the Wii U and PS4. 3DS may have a hard time running Minecraft but I'm sure Wii U could run the PS3/Xbx360 version w/ 2 screen multiplayer. Though at this point Nintendo just needs to produce a Minecraft like sandbox game if only to give the amiibo a place to call home. A big beautiful Mushroom Kingdom combo of Minecraft and Disney Infinity. amiibo need their own game. "Though at this point Nintendo just needs to produce a Minecraft like sandbox game if only to give the amiibo a place to call home." Amen to that. Personally, I think that's the ultimate end game with amiibo. All their other game support is just testing the waters. @Hero-of-WiiU Tomodachi life is in a handheld that has a bigger install base whereas MK8 is on the Wii U (which has roughly 5ish million users) and Watchdogs got a mixed response after the E3 trailer fiasco. @MoonKnight7 - "testing the waters"
Yeah, a lot of people seem fine w/ amiibo just testing the waters, but I'ld rather see an amiibo focused game. I'm still hopeing for Subspace Emissary 2 as a separate amiibo specific game to make up for it not being in the Wii U version of SSB. Don't think the Hyper Japan sales will be recorded by ChartTrack UK but the boost in awareness with the 50% off sale and it being a great family event will probably lead to a nice uptick in interest which may be reflected in future weeks. It's ironic how PS4 and XBOne Minecraft have so many sales... you can buy the PC Version for $25, and you can have as many skins as you want, play on any PC, Mac, or Linux platform for no extra cost, keyboard and mouse control, thousands of good maps, and uncountable mods that just adds so much content to the game. It just dazzles me why anyone would go console. @Obito_Tennyson Because console exclusives never end up on that platform. Samus and the crew will NEVER be on pc or mac. And some people prefer the simplicity a console brings. Pc especially, in terms of set up, options and upkeep, its a convoluted mess. Then there's brand recognition and the attachment that comes with it. * see fanboy * I'm gonna hazard a guess and say that pc gamers take their gaming a bit more seriously than console gamers do. You ever see the ui for The Witcher on pc? This is my example of a convalted mess and I know that kind of depth upon depth, upon depth, isn't exclusive to that game. It almost seems like setting up the game, is the game and actually getting to play the game is the reward optimizing the impending experience. The day I see Zelda on pc is the day I jump ship. Until then... console it is.